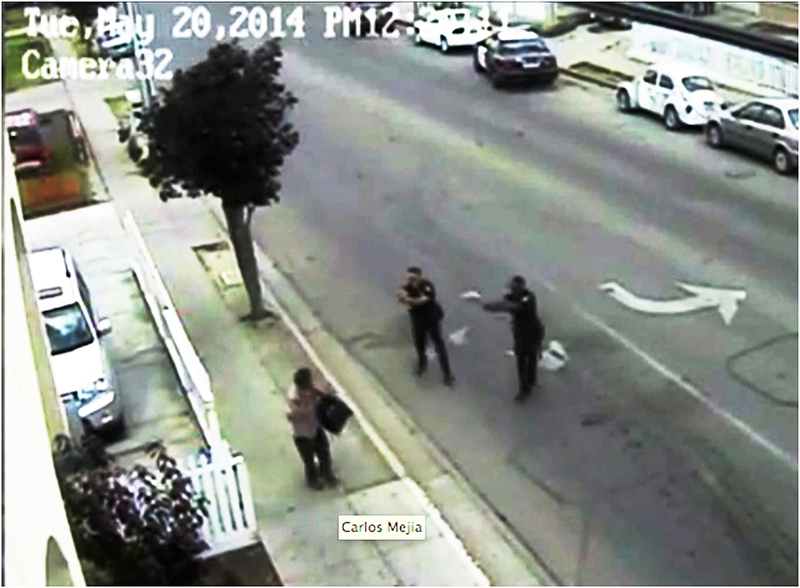 The Monterey County town of Salinas has seen it’s fair share of unrest recently with the fatal police shootings of three Latino men since March. Suspects Carlos Meija, Angel Ruiz and Osman Hernandez were all shot and killed between the dates of March 20 and May 20. All of the men were said to be highly intoxicated and brandishing weapons. Outraged, protesters have taken to the streets speaking out on behalf of the community, voicing their frustration of this apparent pattern of overly aggressive tactics by police in the Latino neighborhoods. The increased tensions in the community led Police Chief Kelly McMillin to hold a press conference to discuss details of the shootings and address people’s concerns. Currently, the officers responsible for the shootings of Ruiz and Hernandez have been cleared and have returned to work. The Mejia shooting has been turned over to internal affairs for investigation. At a May 27 press conference, Meija’s family publicly announced their intentions to pursue litigation unless the Salinas Police Department acknowledges wrongdoing and agrees to award damages. “Real questions have been raised about whether or not this department has engaged in a systematic pattern of discriminatory law enforcement,” said John Burris, an Oakland civil rights attorney who specializes in police brutality cases. Other members of the East Salinas area have developed outreach programs in an effort to help people begin to move past the recent tragedy.